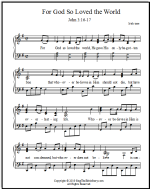 "The Scarlet Thread" is a category of songs about the unfolding of the gospel narrative. This narrative includes the history of the Jewish people and God's preparation of the coming of the Messiah. This strangely-named song is about the gospel message. This message was not dreamed up by man; it has an origin outside of time and space. 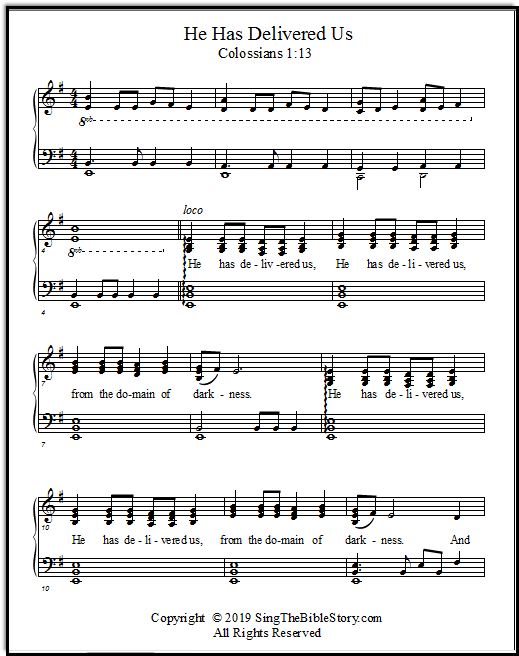 Your Sunday School kids may find the music and lyrics of this strange song compelling! This song highlights the names of the first ten ancestors of Jesus, way back in the first few chapters of Genesis. Over thousands of years, God planned the line of David for the lineage of the Messiah, who would come to rule the earth, but first, to die for all His people, Jew and Gentile. Satan and all his host did not understand this. None of the rulers of this age understood this, for if they had, they would not have crucified the Lord of glory. 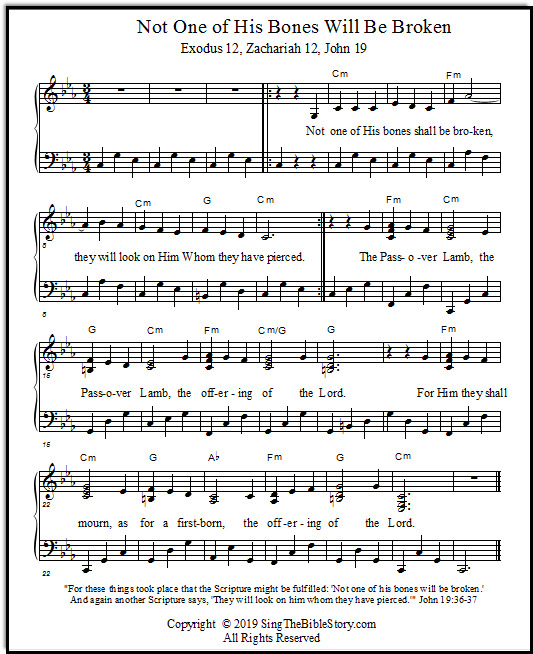 Zion song - in the book of Zechariah are beautiful words about how the Lord will bring His people back to Zion. An energetic song! The bronze serpent story of the Old Testament is a strange subject for a Sunday School song. What does it mean? 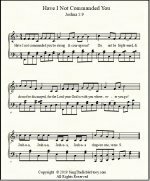 Passover music - a description of the Lamb, the offering of the Lord, whose blood would cause the Angel of Death to pass over the Hebrews. For God so loved the world, He gave His only begotten Son: John 3:16, set to music! One of the prettiest Irish tunes ever, used to set this favorite verse. Have I Not Commanded You is a verse from the Bible. God encourages Joshua to be strong & faithful. 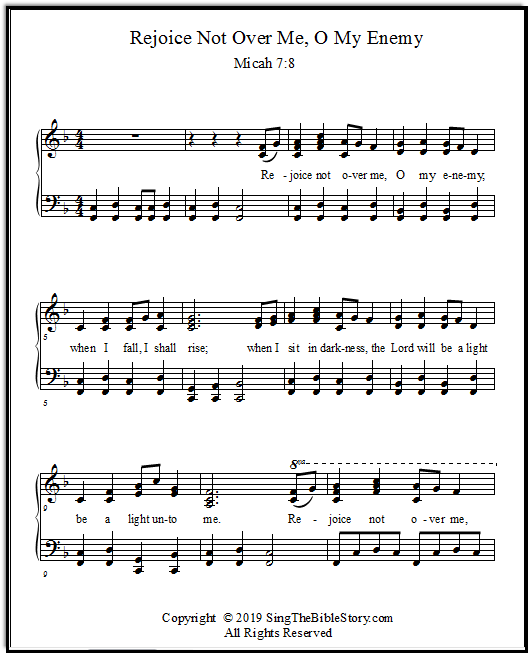 An energetic song for your Sunday school or church. Bible songs here at "Sing the Bible Story" are both verses from scripture itself, and also accounts or stories from the Bible - all set to music! He has delivered us from the domain of darkness, Colossians 1:13. A somber piece of Sunday school or church music to celebrate this significant truth. Rejoice not over me, O my enemy - When I fall, I shall rise! 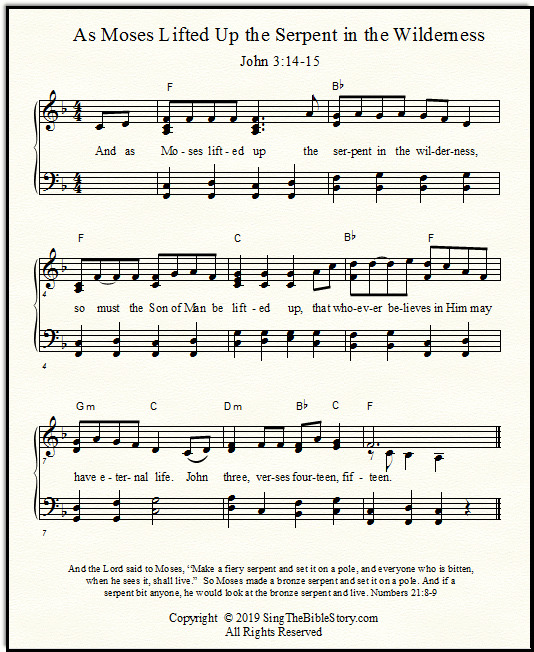 A Bible verse set to music. 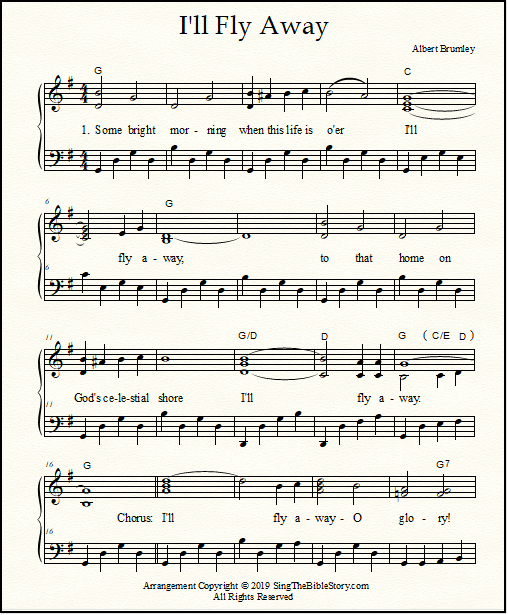 I'll Fly Away chords & lyrics & piano sheet music. You have never heard this satisfying arrangement before - very pretty and full of energy! 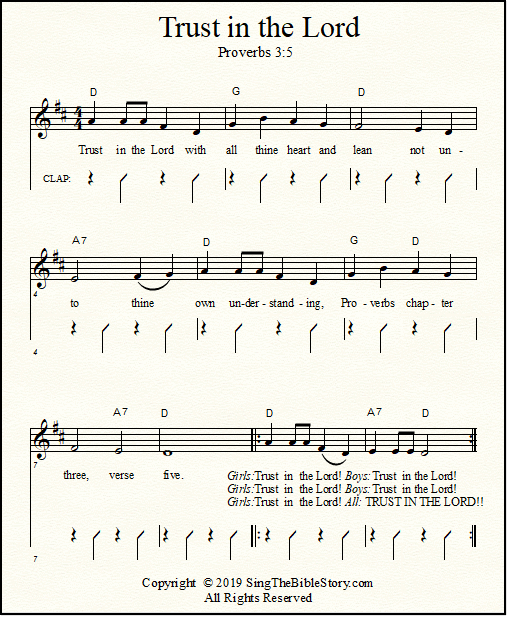 Trust in the Lord with all your heart, and lean not unto your own understanding, Proverbs 3:5 in a happy-sounding song! 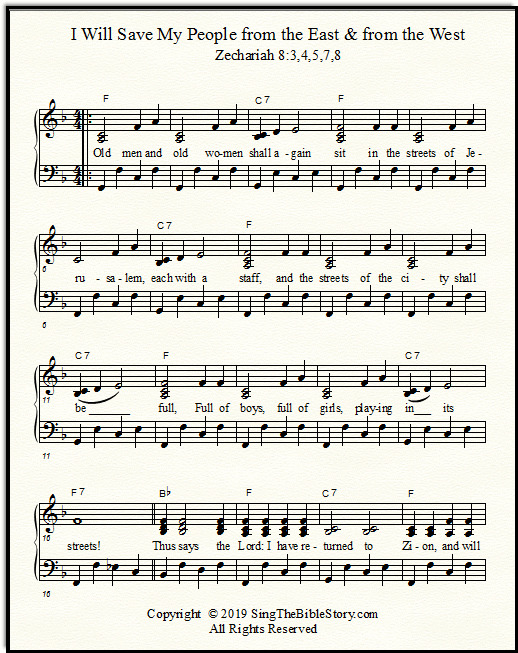 Get the sheet music in two keys. A perfect read aloud storybook for little boys or girls. 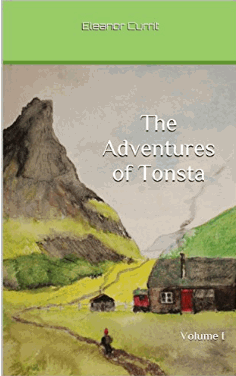 The Adventures of Tonsta highlight the travels of a very young Christian lad with a good heart, who goes about helping folk in trouble. Come visit my brand-new site again - every week I add a bit more music!